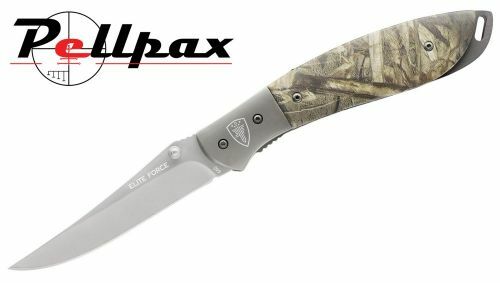 A simple and easy to use folding knife from Elite Force. The knife can easily be opened with one hand thanks to its opening aids and lightweight, narrow blade. The blade is made from tough and strong stainless steel to resist corrosion and hold an edge very well. The handle is made from strong polymer and finish in a high definition camo pattern.